Jeffrey Toobin, who works for The New Yorker and CNN, spoke Monday at Northwestern about the American legal system. The program was part of the Literary Journalism Seminar and its Literature of Fact Series of lectures. Investigative journalist Jeffrey Toobin predicted in his lecture Monday the outcomes of several Supreme Court cases being decided in the next few weeks. The staff writer at The New Yorker and senior analyst at CNN Worldwide spoke to about 40 students, alumni and Medill professors in Fisk Hall about his experiences covering the Supreme Court. He is the second speaker this quarter in the “Literature of Fact” lecture series. Toobin discussed in-depth reporting before focusing on the research for his most recent books, “The Nine” and “The Oath,” which both examine the inner workings of the Supreme Court. Despite what he called his “terrible record” of predicting case outcomes on CNN, Toobin said he thought the Supreme Court would rule against a university’s right to use race as a factor in admissions when it decides the Fisher v. University of Texas case in the next few weeks. This ruling would effectively overturn the court’s 2003 decision in Grutter v. Bollinger. Toobin also predicted the court would rule against legalizing gay marriage nationwide in upcoming cases challenging the Defense of Marriage Act and California’s Proposition 8. He stressed the importance of politics in the Supreme Court, using questions surrounding abortion rights and affirmative action, both major issues the Supreme Court has considered, as examples. Medill Prof. David Abrahamson said Toobin’s “accomplished” career as a literary journalist and his work with current Supreme Court cases made him a relevant speaker. “Jeffrey’s a journalist who has stirred up heated arguments surrounding his work but nevertheless retains a prominent position in literary, investigative and legal journalism,” he said. 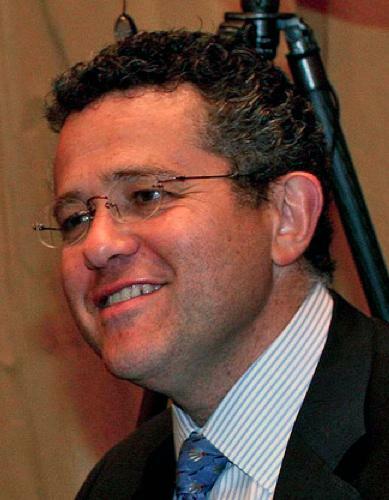 Toobin emphasized the importance of in-depth reporting when covering the Supreme Court and read several excerpts of literary journalism to illustrate his point. He explained why he believes extensive reporting is necessary to support opinionated journalism. He also discussed the “drudgery” of the in-depth reporting he does and the frequent rejection he faces while reporting on the court.